My copy arrived yesterday, and quite a package it is. Of course there are much more than vocal works in this set. 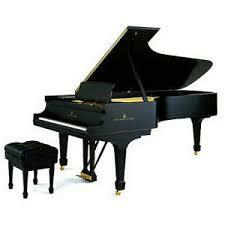 There is symphonic works, chamber music, etc. There was another "surprise." Double shrink-wrapped, over the first layer of wrap is a separate CD with a little white label marked "Erratum. The present set is completed by 2 extra CDs with recordings of Beethoven's Symphony No. 7 from 1958 and Bernstein's On the Town from 1960." So, in essence, this set is 57 CDs, not 56. So, the set we thought would not be released is finally here. One wonders how much more can be issued by Bernstein? 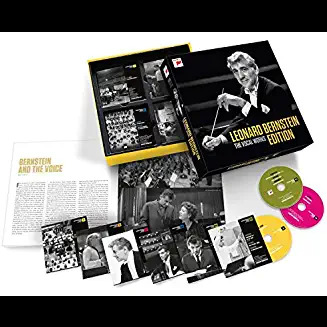 There is the 11 CD set "Leonard Bernstein: The Pianist," and LP-sized boxed set of 25 CDs, "Leonard Bernstein: The Composer," the LP-sized 60 CD set "Leonard Bernstein: The Symphony Edition," and the LP-sized 80 CD set "Leonard Bernstein: Concertos & Orchestral Works." So, what is yet missing? Still waiting for mine. We have had torrential rains and flooding where I live (in Southern Taiwan). I don't suppose that is hurrying delivery up any. In anticipation I broke out my symphony and concerto/ensemble boxes and have been listening to them with great pleasure. I am impressed with almost everything from them that I play. It's here! So classy that they added an extra double-disk, outside the box (literally and figuratively).